I used to grow tea in a standard manner, but suddenly fifteen years ago, I made up my mind to grow chemical-free and organic tea. At that time, nobody thought about doing such a thing. Everyone was surprised at my decision and tried to persuade me to change my mind. 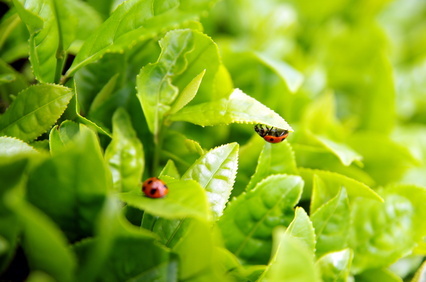 As soon as I stopped using chemicals, bugs began to eat the tealeaves. The tea did not grow as well as it used to and I could not grow it as merchandise. This situation continued for about three years. Making my living as a plasterer and a carpenter, I continuously made efforts to reform soil. People around me as well as my family worried about me, but things gradually turned for the better. I studied hard by myself. 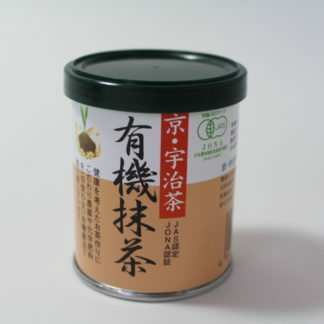 I became one of the founding members of the Japan Organic & Natural Foods Association (JONA), and was in a position to lead organic and chemical-free farming methods. 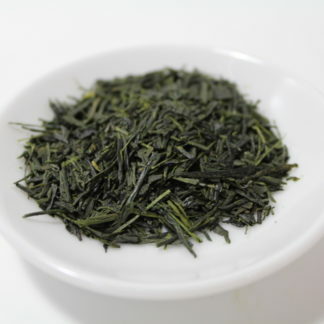 We gradually began to start grow high-quality tea about ten years ago. Of course, we still had problems concerning worm damage and taste deterioration, but for the last few years, we could adequately compete with tea grown in a standard manner in quality and yield. The soil has turned to its natural conditions and the tea has revived its inherent resisting power. As a result of my efforts with an indescribable support of my family, we won the first prize in an agricultural fair in which standard-grown tea also competed.